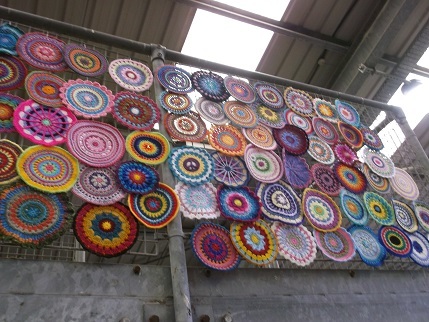 Yesterday my friend Sarah from knitting and I went to Yarndale, a festival of all things woolly, in the pretty little town of Skipton on the edge of the Yorkshire Dales. 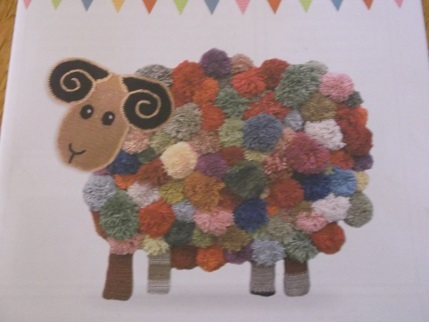 Here is the front cover of the show guide – how cute is that sheep! Skipton is worth a visit at any time as the town and the countryside are lovely and as the weather was beautiful we had a great journey there. 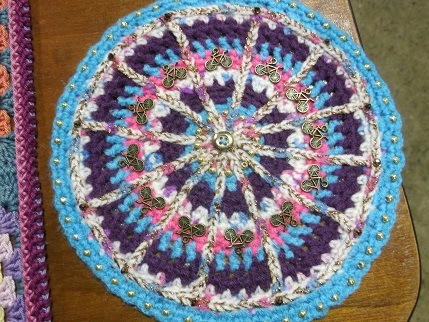 Sarah is a very talented knitter, crocheter and designer and she has some beautiful patterns here on her blog Wessenden Woollies and on Ravelry. She is working on some new designs and wanted to source wool for these. 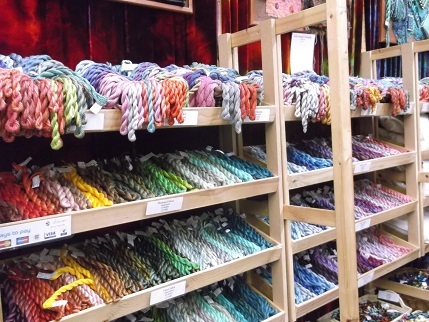 I am being very good at the moment and not buying anything else (until the Harrogate Knitting and Stitching show) so just went for the chance to see some woolly loveliness. And it was there in abundance! 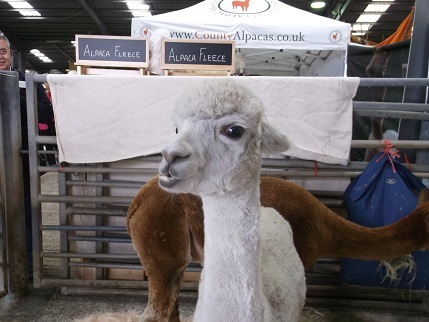 This is Yarndale’s second year and it is held in the animal auctions sheds in Skipton so the whole place smells of sheep and the pens are ready to welcome new visitors such as these cute alpacas who had come to model their gorgeous fleeces. 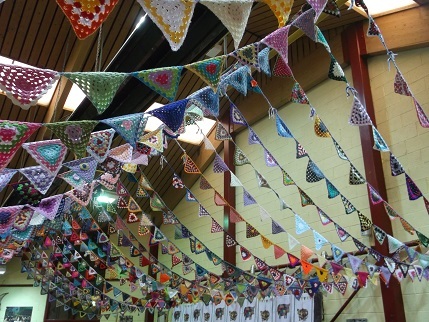 There were some old favourites there such as Oliver Twists who do such beautiful threads and some lovely new things. One of my favourites was Susan Crawford Vintage who designs garments based on patterns from the 1920s to 1950s, published as A Stitch in Time , I do like that name :-). 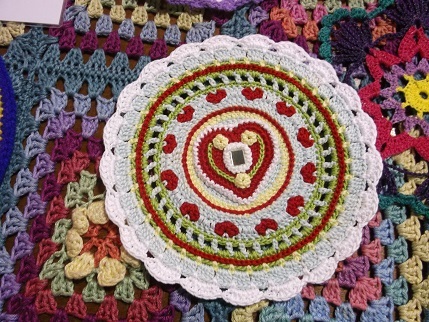 As well as wool there were textile artists. Two that I particularly liked were Marmalade Rose with gorgeous felted pictures (and some fab vintage linens re-used on her blog) and Anne Brooke with stunning stitched textile pieces. 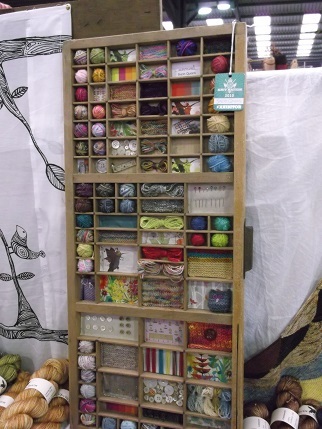 There were also very original display ideas on the stalls and this was one of my favourites. 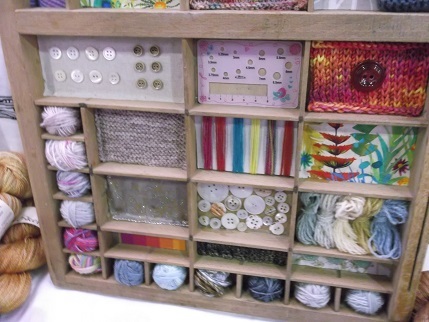 I think it is an old printer’s drawer but thought something like this would be an excellent decoration for my craft room, loved all the little balls of wool and buttons! 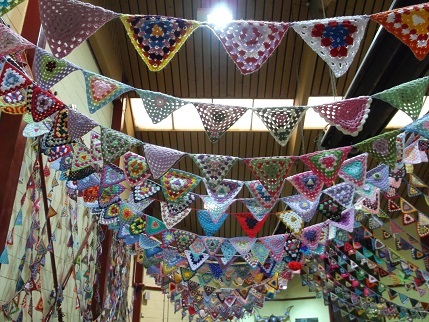 The hall was decorated with strings of bunting made for last year’s Yarndale and over 1000 mandalas made for this year’s event by readers of Lucy’s Attic 24 blog. They had been sent from 48 different countries after she asked for help from her bloggy friends – don’t you just love the power of the internet! These were a few of the ones laid out on the table for closer inspection, love the sheep buttons on that top one and the bike charms (you may remember Yorkshire hosted the start of the Tour de France earlier this summer). 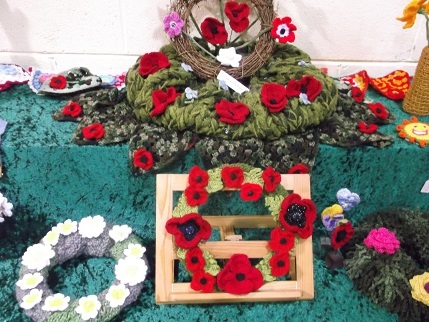 There was also a display of crochet flowers. And look at this cute button jug! Might have to add that to my Christmas list as that would look really good in my craft room. Speaking of buttons I was very good and all I bought at the event were these few buttons. 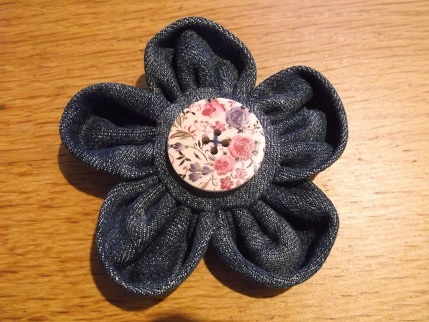 I am using them for more of my flower brooches and made this denim one last night. Earlier on in the week I ordered some very similar buttons from a supplier I found on Ebay (was looking for holly buttons but got distracted!). They are from Bluebell Craft Supplies and were very good value as there are 80 small 15mm buttons in a packet for £1.69 plus postage. Also bought some Christmas ones – these have got some very cute vintage designs on them. 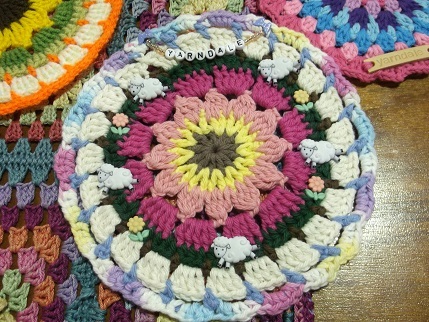 Since I have had a very busy first week of term and it is a dull day I am going to stay snuggled under my fleecy blanket and make more brooches and Xmas ornaments today. Don’t forget to like my last post for the giveaway to celebrate 400 posts (thanks to all of you who have already done so) I will be choosing the winner next Sunday. Hope you have had a nice week whatever you have been doing and thanks for visiting. 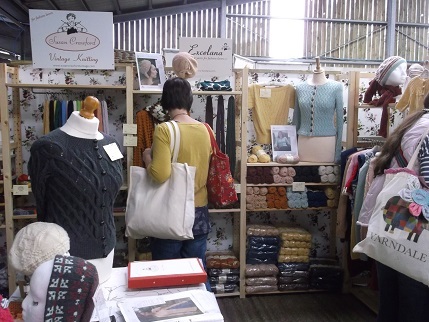 Just back from Yarndale myself, and I wasn’t quite as restrained as you – though to be fair to me, a lot of things I bought were actually presents for my birthday next week, that are from other people – and given what I saved on postage I don’t feel too bad! Had a fab time there though and wondered if you’d have gone! 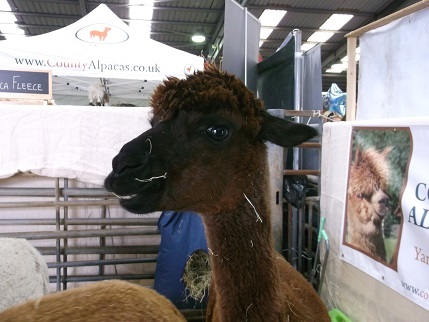 I’m saving my buying energies for Harrogate, too, but I might try to get to Yarndale if they run it again next year – it sounds like fun!